Thank you to the tens of thousands of you who took action demanding that the UK government stops arming the Saudi-led coalition. The sheer volume of your response has been incredible. On Monday 18 March, we marked four years of war in Yemen by delivering your 56,000-signature strong petition to the Department of International Trade. 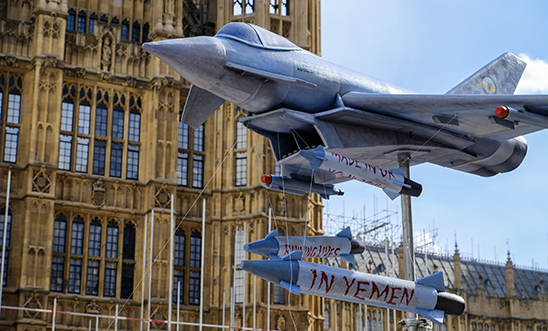 We also drove a replica Eurofighter Typhoon jet to the Houses of Parliament in protest of UK’s continuing arms sales to Saudi Arabia. It’s now been four years since the bloody conflict in Yemen began. All sides of the conflict are responsible for violations of international law, but countless air strikes – led by a Saudi coalition – have killed over thousands of Yemeni civilians. Homes, schools, hospitals, roads and factories have been obliterated. According to the United Nations, during the past four years at least 6,800 civilians have been killed in the Yemeni conflict – with thousands more injured – the majority as a result of Saudi Arabia-led Coalition airstrikes. Amnesty has repeatedly called on the UK Government to halt arms transfers to the Coalition because of the clear risk of such arms being used in breach of human rights and international humanitarian law in Yemen. As the war has raged on, Amnesty has documented these serious violations of international law. Our investigators have found evidence of a British-made bomb used to destroy a ceramics factory. 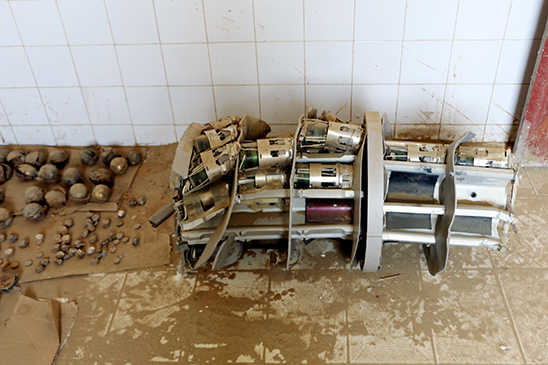 We’ve documented the use of internationally banned UK cluster bombs. Other Western-made bombs have been used to kill school children on school buses. In some instances, such strikes have even appeared to directly target civilians or civilian objects.